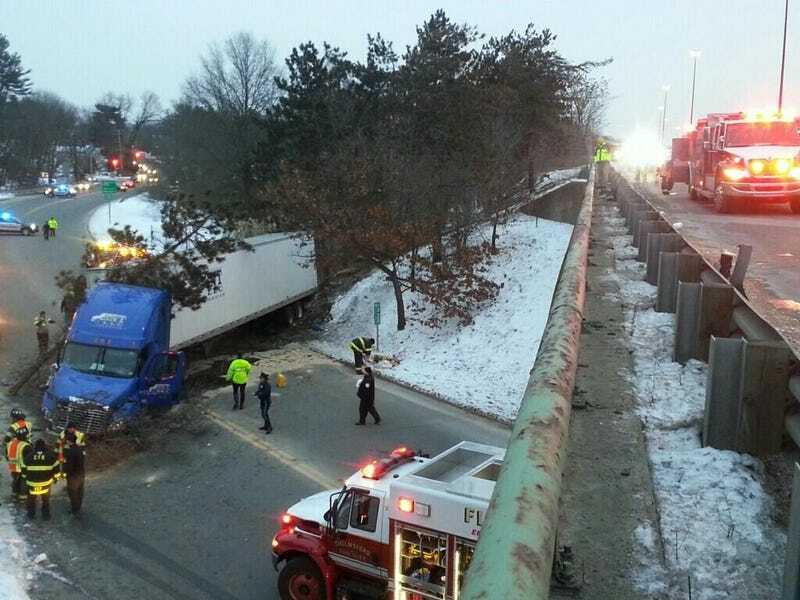 #MAtraffic update: Active scene; I-495 SB @ Rt 110 in Chelmsford. Seek alternate route. No injuries reported. I do not know what happened if the truck is sunk in the road or sheered off, found this on the Twitter.